Please note all our shoes are made according to Italian sizing. 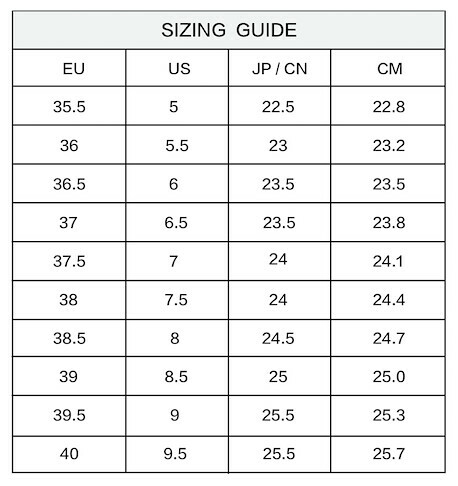 Please refer to the sizing conversion chart below. We recommend our customers measure the larger foot (master foot) first before placing any order. Example: Foot measurement is 24cm please select 37.5, 24.9cm please select 39. Please do not select the size that is smaller than your foot length.